Bar Length: 2.75" Bar Width: 2.75"
COMMENTS: cI make lots of bath bombs and am always looking for unusual molds. 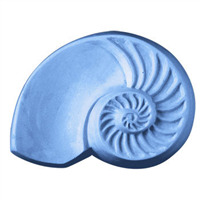 This is a coastal community and this mold fits right in with the ocean theme. It is easy to work with and my bath bomb pops out easily. COMMENTS: Just wanted to share what I did.......I used the Shea Butter mp......ground flax and ground oats.....I wanted it to look like an actual sand dollar......and it really does........I love how it turned out. A little small..but it'll sell. COMMENTS: What a wonderful mold! A home run for Milky Way! I made CP soap with this mold and it was FAB!! Will need to order more for my summer soaping. TY WSP! COMMENTS: These look just like real sand dollars. Great detail and shape, will come out of the mold cleanly if sprayed with oil first. 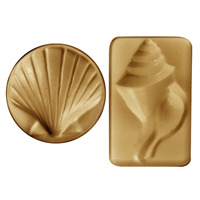 COMMENTS: I used this mold and some other beach inspired soap molds for my Seaside Collection. They were a huge success! Everyone loves them! COMMENTS: Super cute & very realistic looking. Will be buying more, please always keep this mold in stock! Thanks WSP!! COMMENTS: This mold is very durable, I have used it over a year and it holds up well for plastic. 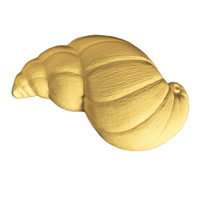 COMMENTS: Just got back from the beach and made some very beautiful and real looking soaps with this mold. It is the best! It is thick and strong to. COMMENTS: I can't keep these in stock, they are so cute! COMMENTS: This is my most used mold. The only down side is it usually difficult to extract the product, even with freezing. And I have to be careful not to push in the middle of the design or it deforms the product. I usually must leave the soaps in the mold for many days so it is not deformed upon unmolding. COMMENTS: This is adorable. Very easy to use. Let it sit in the freezer after setting for a few minutes, gently press with your finger and it pops right out. Washes easy, warm water. This is so cute when finished. These sell so faast. 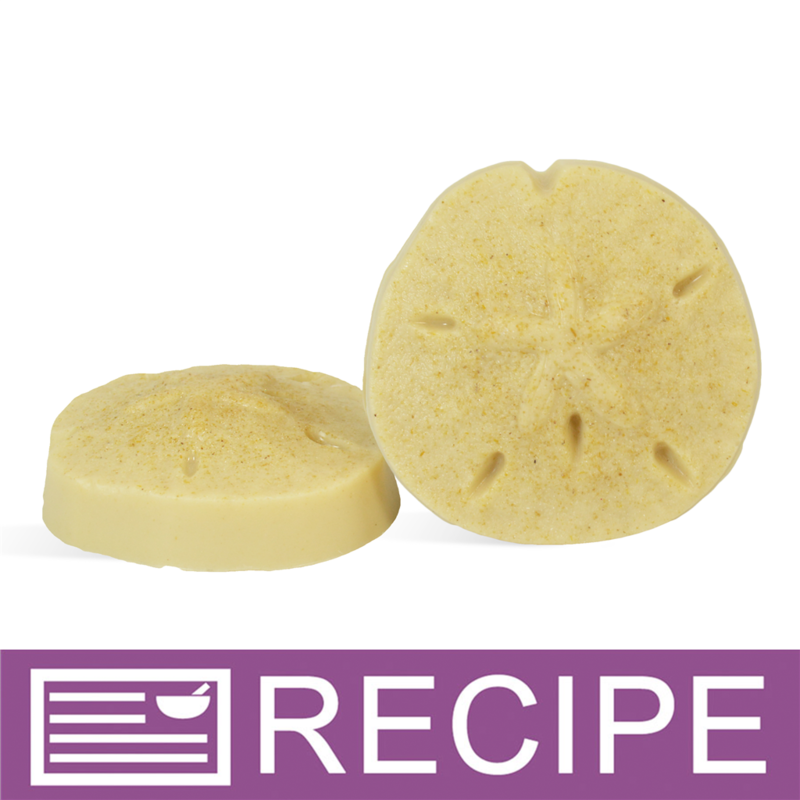 Make little bath fizzies as well as soap with this. It makes 4- 2.5 oz. bars. • Very easy to use and wash. 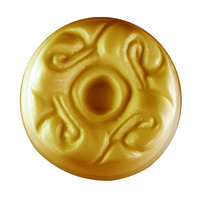 COMMENTS: This mold makes a beautiful soap but it is difficult to get out of the mold. I have to freeze each batch solid and tap on counter to release soap from mold. I broke one cavity and broke the side of plastic off my first mold before I realized I should be freezing the mold. This process is slow so if you need large quantities you should buy a few molds to speed up your process. I would love to see this design in silicone. 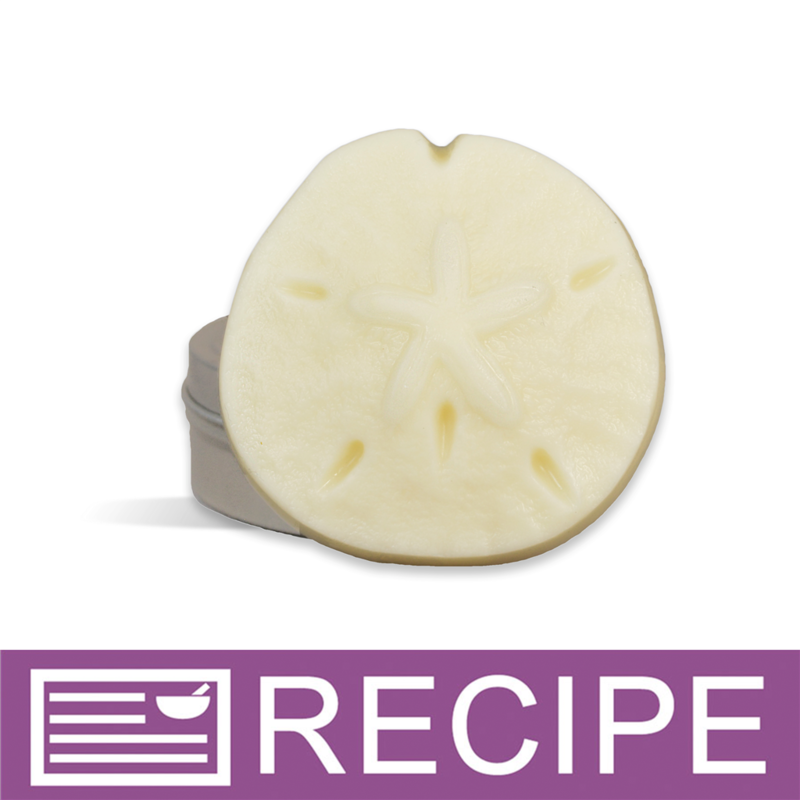 "What size is this mold"
The Sand Dollar mold has 4 cavities each holding 2.5 oz. Hope that helps.